NASA astronomers have located a neutron star outside of the Milky Way galaxy, making a substantial first-time discovery for the agency. NASA will launch a mission to learn more about neutron stars. The incredible image was captured by NASA’s Chandra X-ray Observatory and the European Southern Observatory’s VLT (Very Large Telescope ) in Chile. Scientists analyzing the data collected from the telescope believe that this is an isolated neutron star created in a supernova explosion about two millennia ago. The spectacular merger of two neutron stars that generated gravitational waves announced in 2017 has likely birthed a black hole. This newly spawned black hole would be the lowest mass black hole ever found. Ten similar objects have been identified by astronomers before. However, this is the first time one was detected outside of our galaxy. British astrophysicist Jocelyn Bell first discovered these spinning neutron stars nearly 50 years ago. As a research assistant, Bell helped build a large radio telescope and discovered pulsars, providing the first direct evidence for the existence of spinning neutron stars. “Two sides of the same coin” is a phrase that means two things that at first appear to be unrelated and represent parts of the same thing. This same concept can be found in the deep recesses of space in the form of a neutron star. “The agency plans to launch the two-in-one Neutron Star Interior Composition Explorer, or NICER, aboard SpaceX CRS-11, a cargo resupply mission to the International Space Station to be launched aboard a Falcon 9 rocket,” NASA said in a statement. 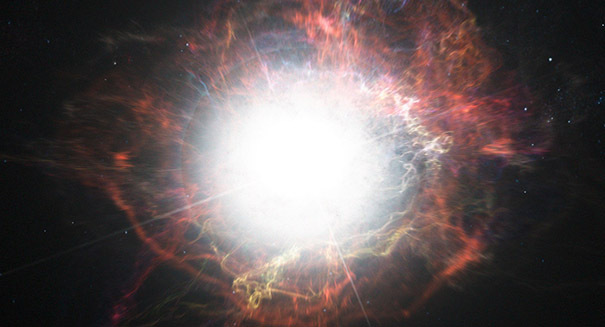 “The mission will focus especially on pulsars — those neutron stars that appear to wink on and off because their spin sweeps beams of radiation past us, like a cosmic lighthouse,” NASA stated. SpaceX CRS-11 will be equipped with 56 X-ray mirrors that offer direct support in gathering necessary data and observations of pulsar stars.